The Protector was designed to do one thing... protect you from the consequences of an overflowing toilet. This toilet has a second drain system in place (concealed within the bowl) that protects you from the toilet overflowing. Hey, in real life, these things happen. Keep reading to see why I really, really like this newest invention from Mansfield Plumbing. about in your home. A toilet is one of them. My youngest child has a toilet paper problem. I'm not kidding. No matter how often I discuss this with him, he feels he has to use more paper than is really necessary. It's something I hope he outgrows, but until he does, this Protector toilet from Mansfield Plumbing could be our perfect solution (and believe me, we've had problems!). One of the littler littles in our family has a 'let's see what we can put in Aunt Rosey's toilet and flush' problem. That means whenever he comes to visit, you have to be careful to check the toilet before you use it... if you don't you're going to have overflow problems. I've found a doorstop, a MatchBox car, and a McDonald's toy in the toilet on various visits. Had I not known to check, there could have been an overflow from the toilet in the house, when he was here. Who wants to clean up a toilet overflow when there's company in the house, much less when there's a sweet little one in the house to be playing with instead! Plus if someone, anyone, goes in the bathroom and doesn't realize there could be a toy in it, they could flush and then...dun dun dun... your house, your clean up! And even if you don't have a similar challenge, toilets overflow at some point for almost everyone. This is one of those things you WANT to be proactive about handling. An overflowing toilet is no fun for anyone, not to mention it's very difficult to clean up (and can ruin your floors or other items in your bathroom!). With the holidays coming up, it's also the perfect time to install one!! 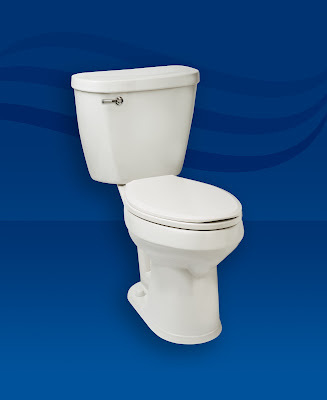 A lot of us will have guests in and out of our homes all season, increasing the odds of a toilet mishap. Be prepared before they happen with The Protector! It's an investment that I think will pay for itself over and over again. The bowl has a PuraClean Glaze on it, which makes it easy to clean, it is bacteria-resistant, there are no unsightly holes and the overflow system is hidden within the bowl. 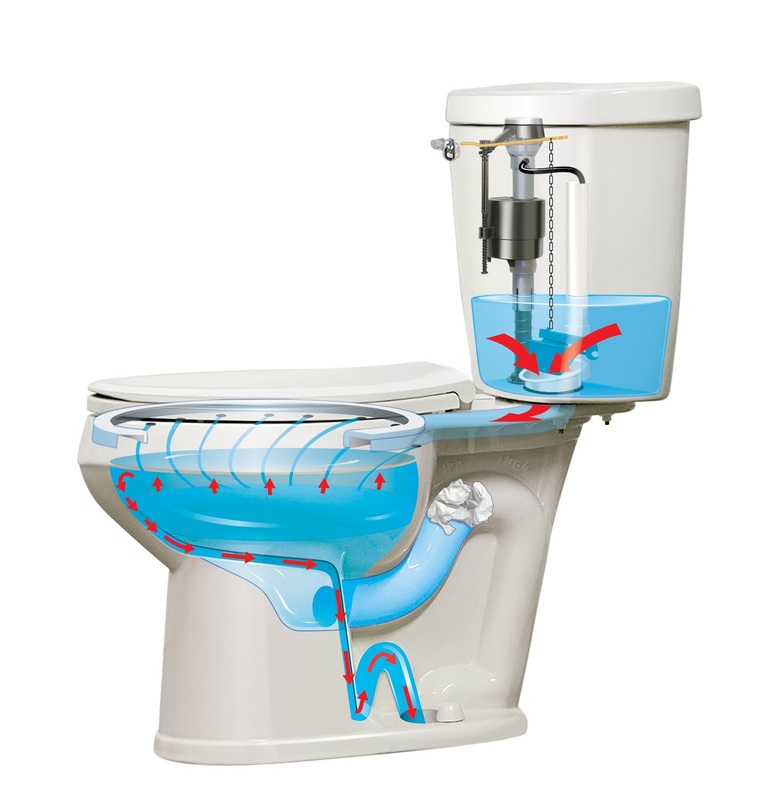 You are also going to get a higher velocity on your flush, so The Protector is going to work more efficiently for you as well. A lot of thought has gone into The Protector. I think it's got a lot going for it, and I'd love to have one in our home! If this interests you too, you can learn more about it and the other products sold by Mansfield Plumbing, by visiting their website. You can also follow them on Facebook, Twitter, and/or YouTube! Well this is brilliant. Love it. Wow even tiolets are getting fancy these days! No more having to fix them constantly. Great product information. Like it. Last time mine overflowed was in university, sooo nasty. haha can't say I ever had a fetish with putting things in the toilet as a kid. Looks like this should be in every home. Great concept. That is awesome, no idea what kind of toilet I have... but now I must know. We just moved in, so I have no idea. Though sometimes with kids, they tend to use so much TP for nothing, it can cause quiet the mess. This would be a lifesaver! Oh cool! This does look handy! My challenge is keeping toilets clean with kids. And a husband. Looks like an amazing toilet to have at home. Honestly, I like the fact that it's easy to clean and maintain! This looks like something that every home with children would benefit greatly from! My girls need this in their bathroom. My daughter (17) was complaining that she couldn't vote this year. I told her that if she can't figure out how much toilet tissue to use so she didn't clog the toilet every other week, she probably isn't quite ready to vote yet lol. Seriously, I feel like I am in there every other day with the plunger! That looks really reliable and it's something that I would love to have in the house. It's a great product and you won't regret purchasing it! I can honestly say I haven't given out toilet much thought. Guess that's a good thing because it means I haven't had any major problems. Love this toilette, my mom could sure use one :) wonder what happens if the little drain gets plugged too? Sounds like a great concept! Very useful! Interesting idea to add a second drain! Hadn't seen that before. I like it! I would probably consider that next time I am in the market! I've never suffered this issue before. Sounds a bit gross. I wish I had seen this post about 4 days ago. We just replaced a toilet. I live in a house full of men. And let's just say they eat a lot of meat. This toilet would come in handy. I need this toilet so bad! I am tired of the overflows from my kids LOL. Uh, just this morning I had a moment of panic wondering if the toilet was going to overflow. This is genius! Have you seen the one that shows flushing a bucket of golfballs?? ?